Airbnb is offering a pretty attractive promotion for new Airbnb hosts: A $400 bonus after you host your first guest. The catch: The $400 bonus is added to your WealthSimple account (free to open), from which point you can transfer the $400 to your bank account. If you haven't heard of WealthSimple, they're one of the many new 'Robo-advisor investment' sites. They're based out of Toronto, have over $100 million in funding, and claim to be managing over $1 billion in assets. Try this Google News search if you want to see that they are legitimate. When I tried it, the process was fairly painless. 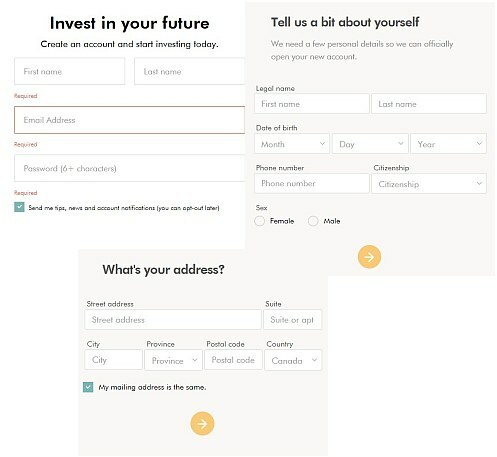 It asked a few questions about your investment style, and then asked for your e-mail address, physical address and phone number. It didn't ask for any bank account info, but it did ask for a social insurance number. If you already have an Airbnb account, you should be able to use it, as long as you've never hosted with it before. Airbnb is pretty good at being able to detect people that are trying to game their promotions - so even if you open a new Airbnb account, you'll likely need to host with a property (address) that has never been booked by anyone before. STEP 3: Open an Airbnb host profile through the Wealthsimple / Airbnb promotion page. and click on the yellow icon that says 'Become a host and get $400'. If you don't do this step, you will not qualify for the $400 bonus offer. STEP 4: Create the Airbnb listing for your place, and have someone book it. In addition to the normal Airbnb payment for having someone book your place, you will receive a $400 bonus in your WealthSimple account. - You must be a first-time host. - You will qualify for the bonus once your Airbnb listing generates $500 (excluding cleaning fees and taxes). - The $400 bonus will be deposited into your Wealthsimple account within four weeks of your qualifying date. - This offer is only valid for *new* Airbnb listings in the US (excluding Miami and Hawaii) and Canada (excluding Toronto and Vancouver).